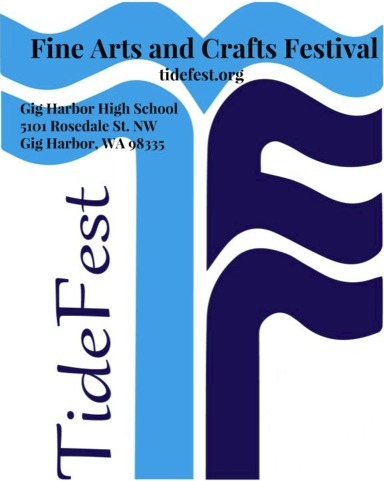 Gig Harbor High School’s annual TideFest brings in artists and high-quality artisans from all over the Northwest. The festival raises money for the school’s activities and athletics programs, including the Speech and Debate team and the school newspaper. About 150 artists fill the 118 available spaces, selling everything from glass art, sculpture, pottery, jewelry and clothing to paintings, wood products and leather bags. 'Everything is made in original by the artist. It’s stuff that you cannot find at a mall. It’s really unique kinds of items,' says Eleanor Ledbetter, former TideFest chairperson. Eleanor started the show nearly three decades ago. The Festival has a new Chairperson for 2014: Alyse Yeaman, an Art Teacher at Gig Harbor High School. The juried show uses professional artists to screen the applicants, and all vendors must screen each year, regardless of how many times they’ve participated.